If you haven’t noticed by now, fall outfits (sweater weather) is my favorite. 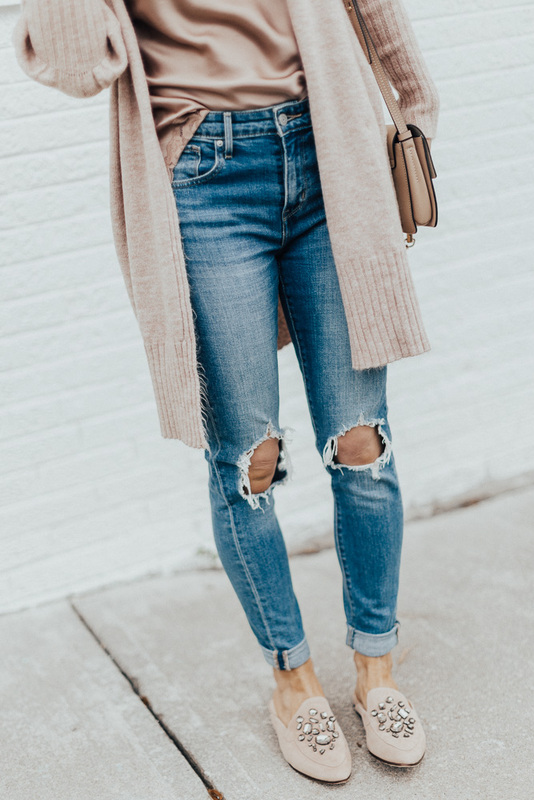 To me, the perfect fall outfit entails a cozy cardigan and a good pair of denim. When it comes to sweaters, I am pretty particular, I like one that is not scratchy, has a little give or stretch and has the perfect amount of detail to set itself apart from all the others. I adore the puffed shoulders and rib details of this cardigan, not to mention how COZY it is! This pair of jeans have been a tried and true favorite for a while now and what’s amazing is that they are under $100. This cardigan also has pockets, a major plus for me! Love all the pink and the coziness look to that sweater! Beautiful shade on you! I really love this outfit and your style.